Cut the eggplant in half lengthwise. Prick the eggplant's flesh with a fork. Place the eggplant and garlic cloves on a baking sheet and brush everything evenly with the olive oil. Season with salt and pepper. Put this in the oven and roast until there are some brown spots and make sure to prick it with a fork. When you prick it, the eggplant's flesh should be soft and tender (about 30-37 minutes). Take the eggplant out of the oven and let it cool a little. Using a big spoon, scoop out the meat of the eggplant away from the skin. Place the meat into a food processor and discard the skins. Squirt the garlic out of its skins and place it in the food processor. Add the tahini, lemon juice, parsley, salt, pepper, cayenne and cumin in the food processor. Puree again. 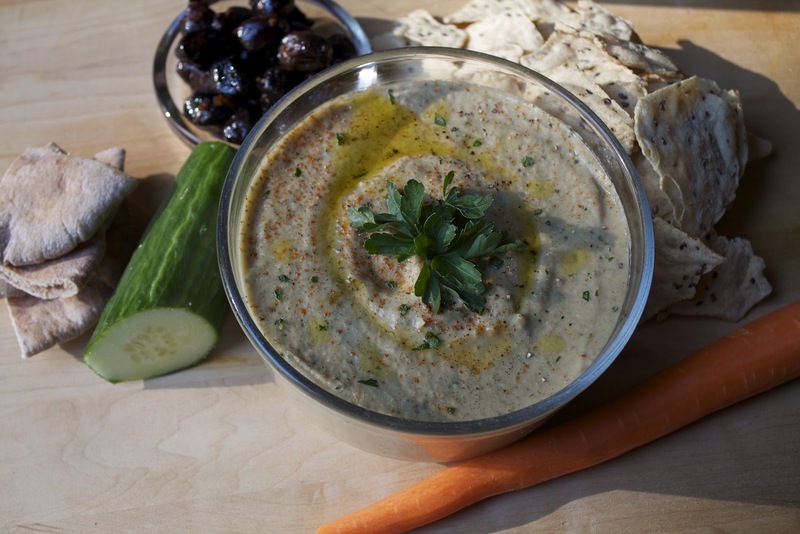 Taste the baba ganoush (you may need to adjust the ingredients according to your taste). 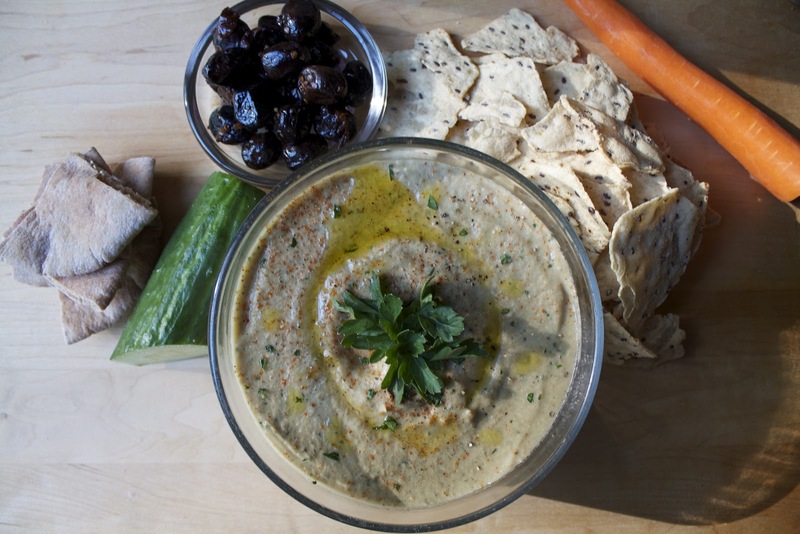 Serve with pita, chips, veggies, olives or whatever you would like. Enjoy!